Noble warriors honor the traditions of the North. 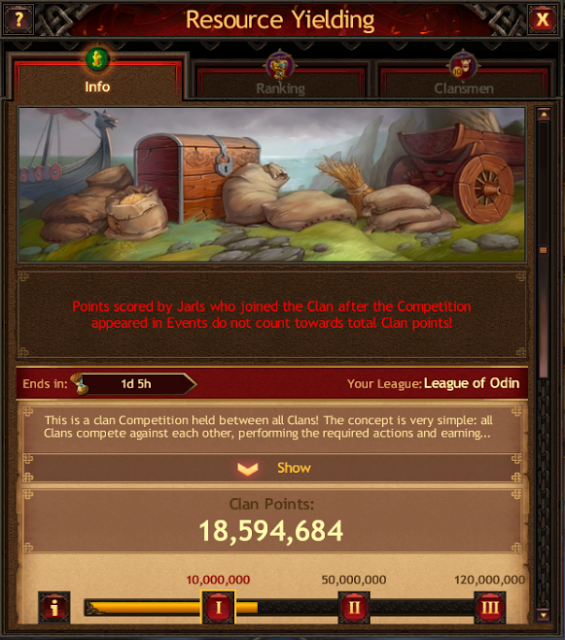 That’s why special events — Competitions — are held regularly in Vikings: War of Clans. Participation grants you valuable rewards and bonuses along with the opportunity to battle worthy opponents and demonstrate your outstanding abilities. We will give you a detailed description of Competitions, their types, and the rewards you can win. 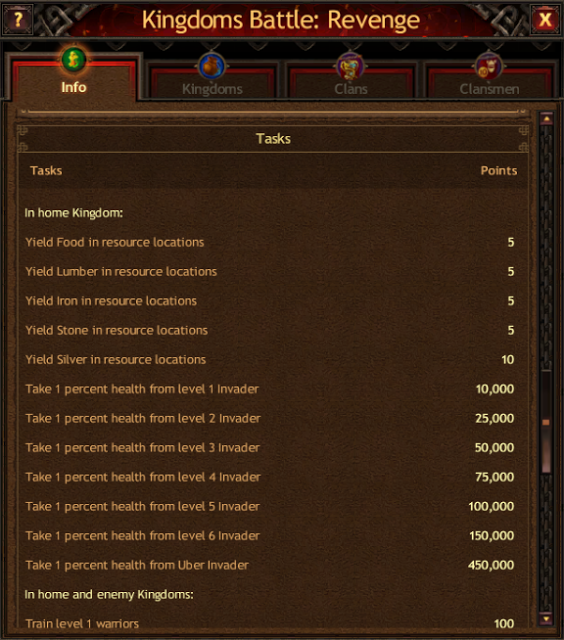 For Jarls, the assignment is made based on their Palace level. For Clans, it depends on the number of Influence points. The higher the League, the greater the effort you have to make to prevail and the greater the rewards you will receive. All Jarls of the northern Kingdoms battle in personal Competitions. The first two screenshots demonstrate the Fighting Invaders Competition. 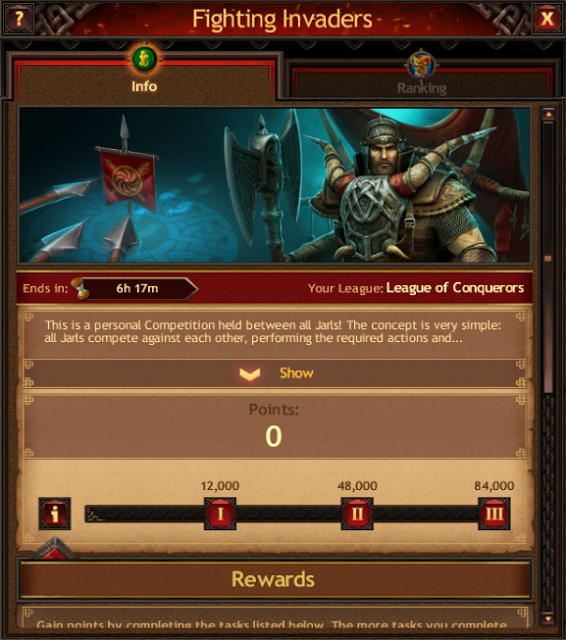 In this contest, Jarls earn points by attacking and destroying Invaders who enter their Kingdom. 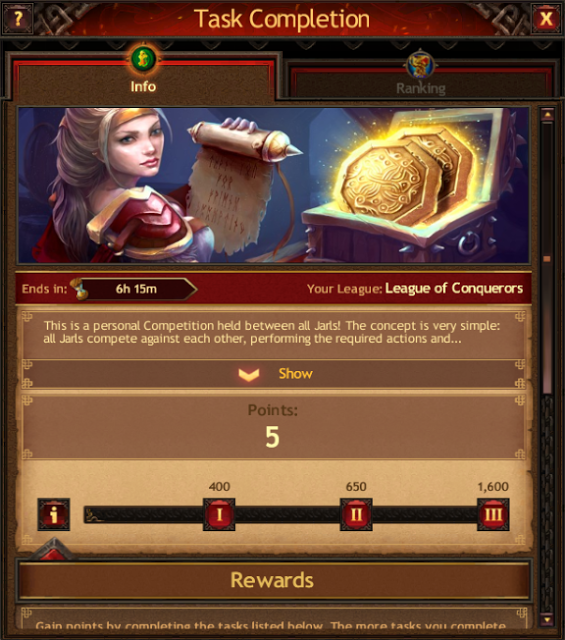 The number of points depends on the opponent’s level. 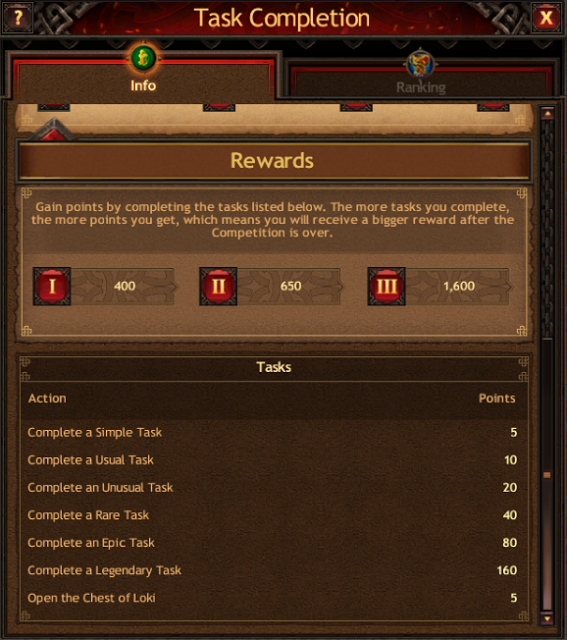 The screenshots below display Task Completion Competitions in which points are scored for completing short-term missions that are continuously updated — the harder the mission, the more points you can earn. 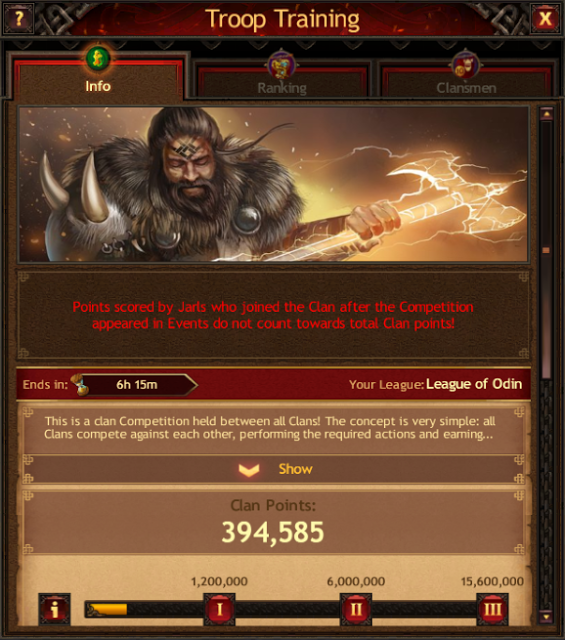 The next Event type we’ll delve into is the clan Competition. In order to make it to the top of this Competition, you must unite with allies, because the points of all Clan members are added up. Even the smallest contribution will get you closer to the desired victory, so the rewards go to everyone who brought even one point to their team. 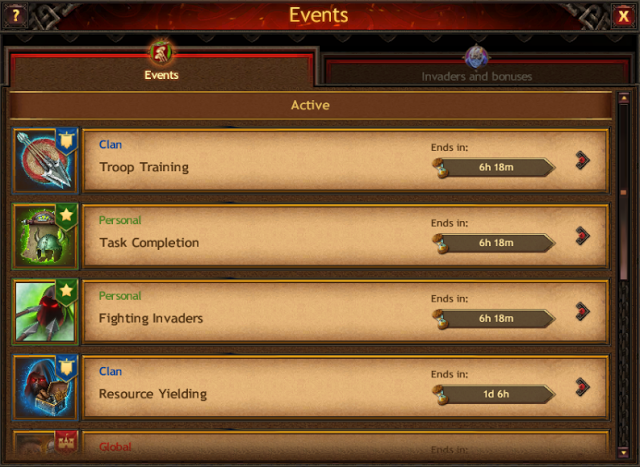 Above, you can see two examples of clan Competitions — Warrior Training and Resource Yielding. By participating, you can not only create a mighty army and replenish your resource stock in the Town, but also get worthy trophies. 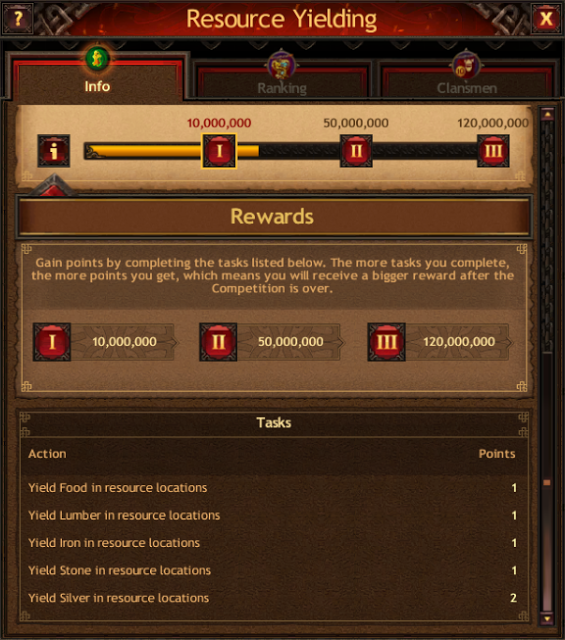 The number of points you’ll get depends on your warriors’ training level and the types of yielded resources. Next, we’ll review global Competitions. The Kingdoms Battle, Kingdoms Battle: Revenge, and Clans Battle are the most massive and harsh battles you’ll ever face in Vikings: War of Clans. The screenshots show a Kingdoms Battle: Revenge global Competition. 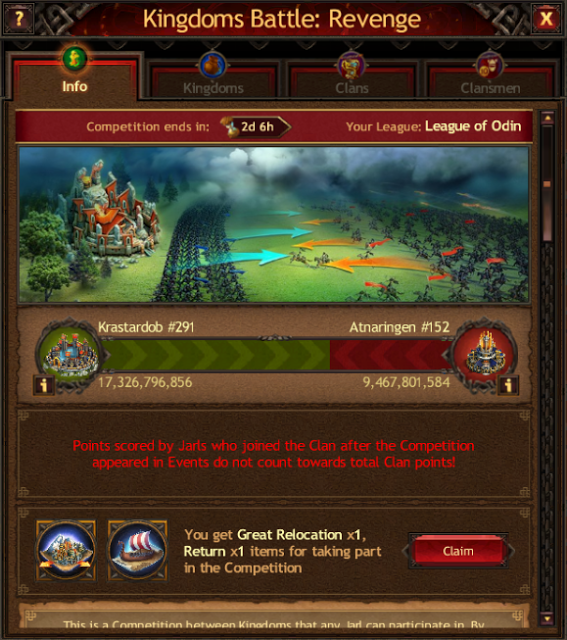 The Jarls of the entire Kingdom come together to try to beat the opponent they fought in the previous Kingdoms Battle. 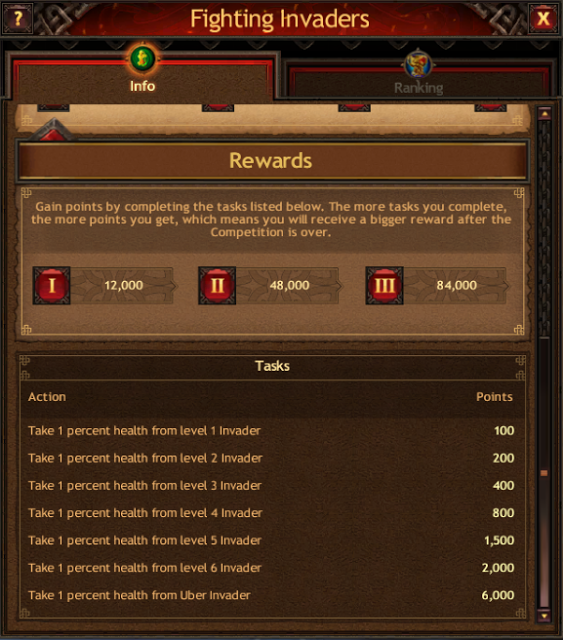 In global Competitions, you earn points by completing various tasks both in your home and enemy Kingdoms. Often these contests end with a bloodbath where whole Clans are annihilated, but the chance to beat opponents, get privileges, and become famous all over the North is worth the risks of these grand battles. 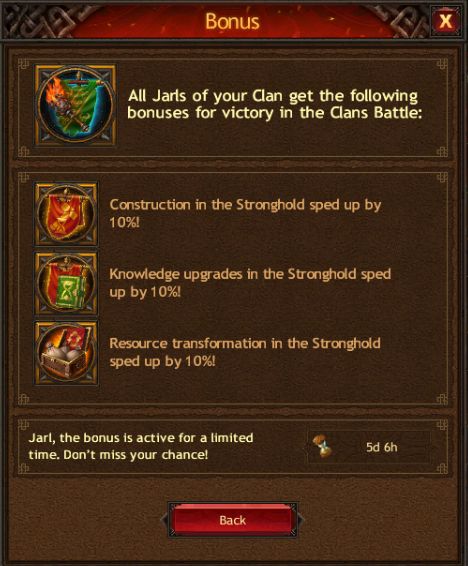 Depending on the Event type, points are awarded to each Jarl, Clan, or Kingdom. The more you do to achieve success, the more valuable the rewards that await you when the Competition ends. Of course, even if you don’t take a top position, you can get boosts, items, and other useful bonuses for passing checkpoints. You can view past, current, upcoming Competitions along with their start and end times in the Events window. Those who manage to make it to the top and stay there get untold riches and great fame. Play Vikings: War of Clans NOW! Back to the Game Guide hub.